Build this house on your lot or ours! The Lynn is a beautiful one level plan with the master bedroom and 2 other secondary bedrooms on the main level. A 4th bedroom is located above the garage. An optional bathroom can be added upstairs if desired! This open floor plan features all the current trends from hardwood, ceramic tile floor, painted kitchen cabinets with granite counter tops and stainless steel appliances. The oversized master shower is impressive with several ceramic tile options available. The Lynn features a large formal Dining Room with Butler’s Pantry as well as an Eat-In-Kitchen dinette. Please, send me more information on this property: MLS# 1828717 – $585,277 – 9331 John Wickham Way, Ashland, VA 23005. 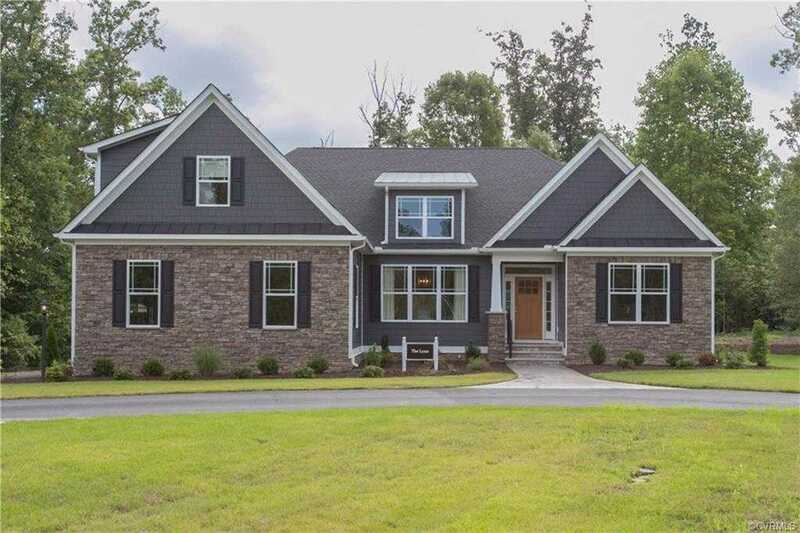 I would like to schedule a showing appointment for this property: MLS# 1828717 – $585,277 – 9331 John Wickham Way, Ashland, VA 23005.